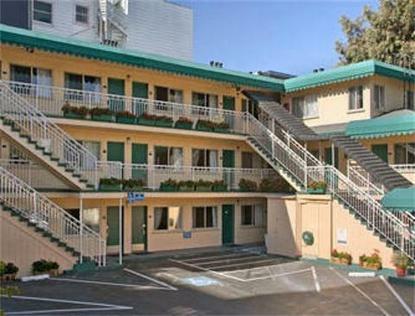 The Bayside Inn at the Wharf is located in the heart of San Franciscos tourist district. Only blocks from Fishermans Wharf and North Beach (Italian Town) you will be walking distance from city and Alacatraz tours, souvenir shops, restaurants, Ghiraridelli Square, and cable car trolley rides. Bayside Inn at the Wharf has 25 guestrooms with four configurations: Standard Queen, Standard King, Two Doubles, and Double with Twin. Enjoy our complimentary coffee and muffins for breakfast and free Wi-Fi internet service. We are located at the corner of Columbus Ave and Bay St.